Hello! 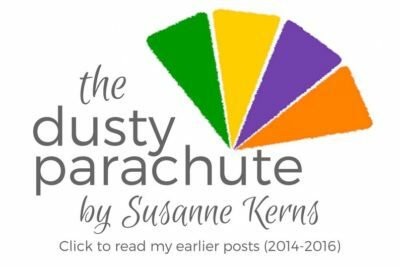 Welcome to my new SusanneKerns.com home! I’m so glad you’re here! If this is your first time visiting, you’re probably all, “What new home? You never even invited me to your old home!” and then I’ll be all, “I must have typed your email address wrong on Evite!” But, you’re more welcome to go snoop through my medicine cabinets and rifle through my drawers back at The Dusty Parachute any time you like. I’ve listed some of my ‘readers’ favorites’ here, because that’s the kind of considerate hostess that I am. So, why the big change? It goes waaaayyyy back to the Mom 2.0 Summit I was at last weekend. Remember, the one where I bombarded y’all on Instagram with pictures of everyone looking super cute and citrusy in Florida?